Looking for easy indoor toddler activities? 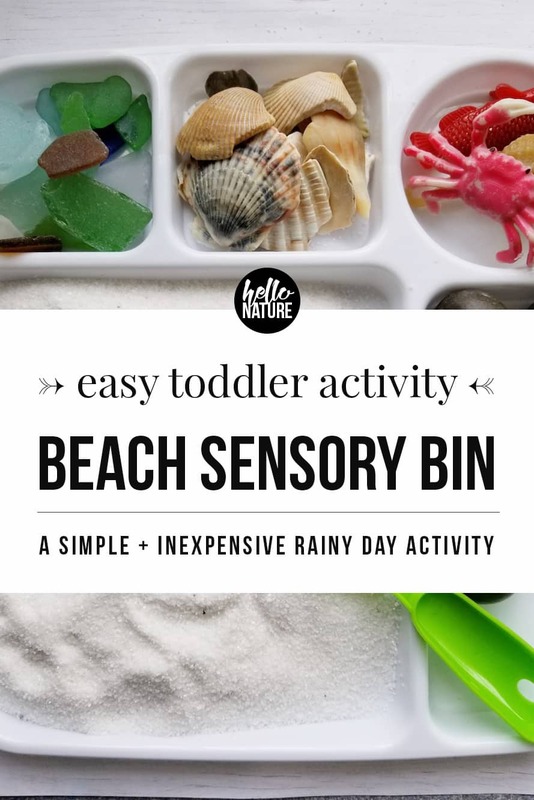 This Beach Sensory Bin is a great way to explore nature with children and keep them entertained inside! Sensory bins have become a huge part of our playtime. Not only do sensory bins keep my toddler entertained long enough for me to squeeze a little bit of work in, they are actually beneficial for her development. Looking for other indoor activities for toddlers? Check out KiwiCo! You can save 30% off your first box with code SHARE30. You can get hands-on science and art projects delivered every month for ages 0-16+! 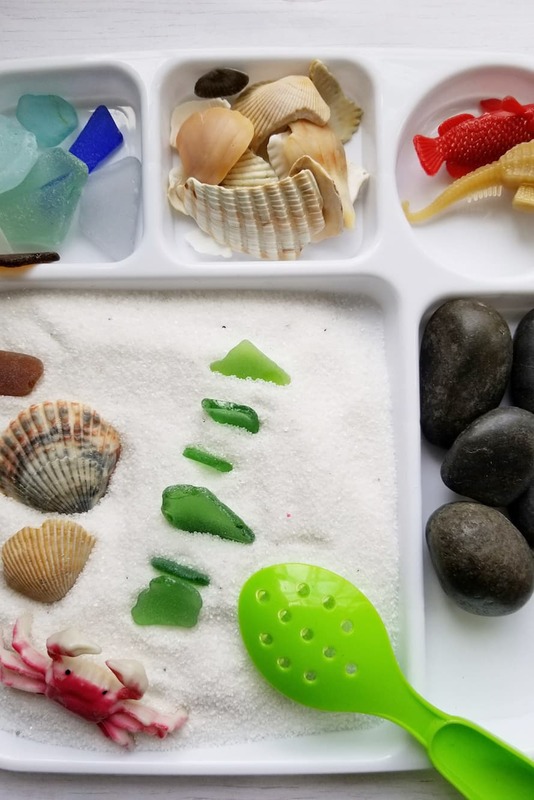 One of the things I love about the idea behind this beach sensory bin is that you can easily use things you have on hand. Shells, sand or driftwood from previous trips? Perfect! Sand toys from your summer adventures? Use those, too! 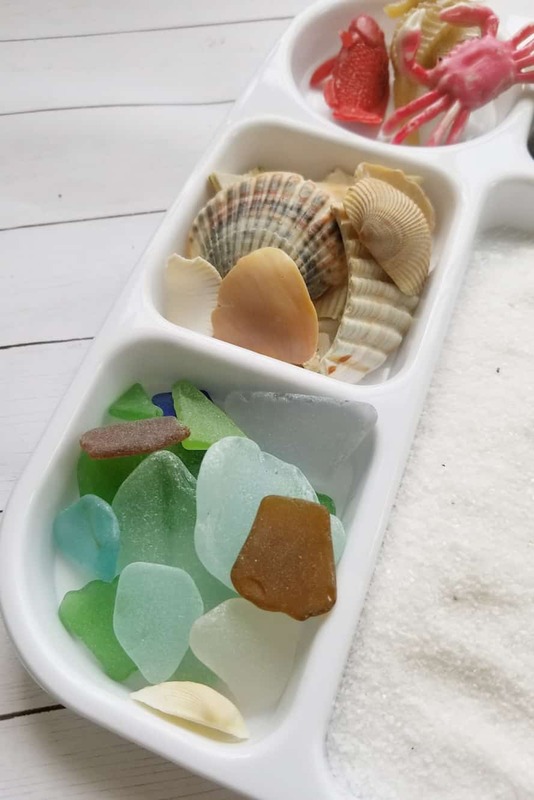 You can just add in what you don’t already have on hand into this beach sensory bin and then it’s 100% customized to your child. Begin by filling each compartment with the various elements. Make sure you add the sand to the largest compartment, since that is where all of your exploration will be taking place. 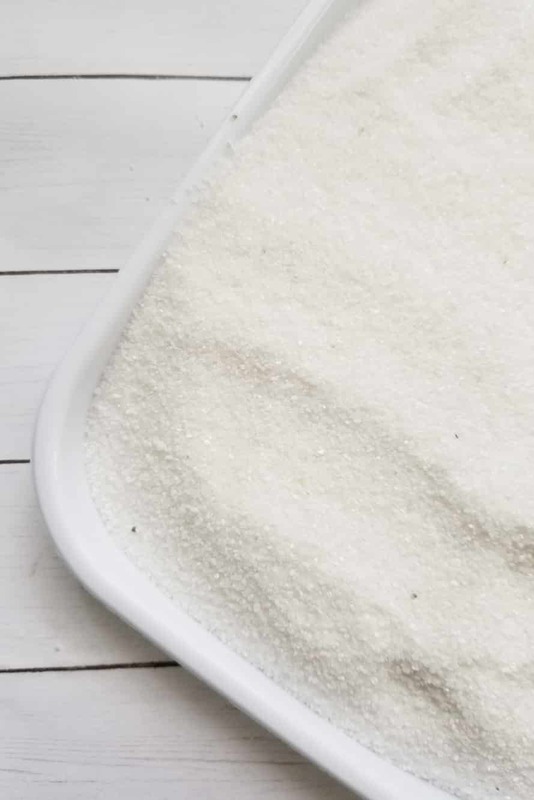 Fill it about ¾ of the way full so none of the sand overflows on the sides. Next, add the other elements in the smaller compartments. 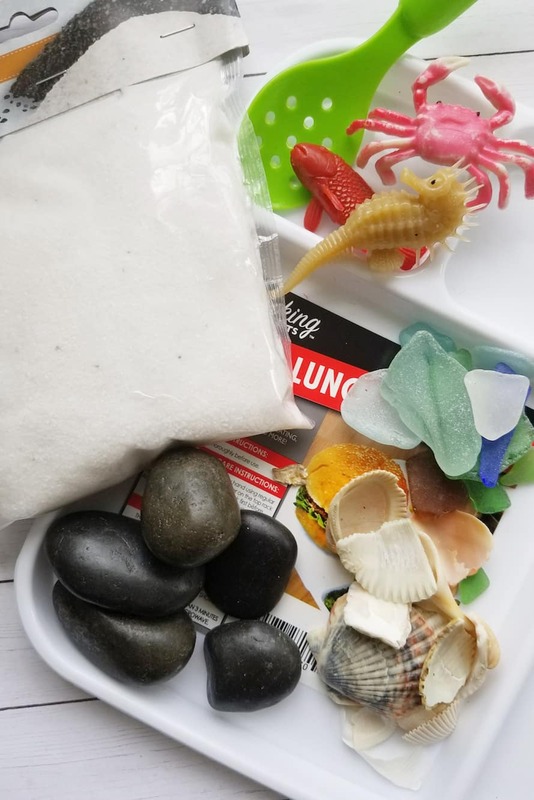 Do this with your kids so they can help sort and classify the other items for the beach sensory bin! An optional step is to label the compartments once they are filled. 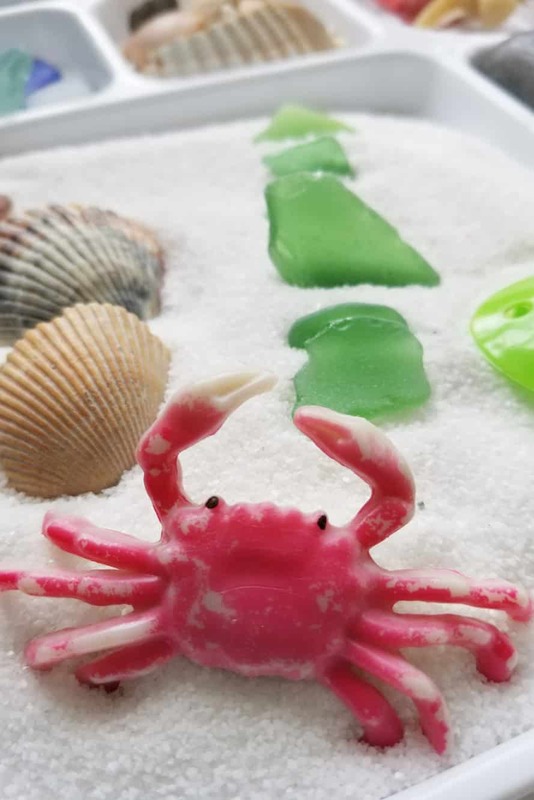 Take some time to talk about the various pieces of rock, beach glass, driftwood, and the ocean creatures. Or use it in conjunction with some of our favorite ocean related books for toddlers below. Use the small shovels, spoons, rakes, etc. to manipulate the sand. Comb it, dig in it, bury items, draw designs, and scoop it. This step of the playing process helps build those fine motor skills and keeps little hands and brains moving. 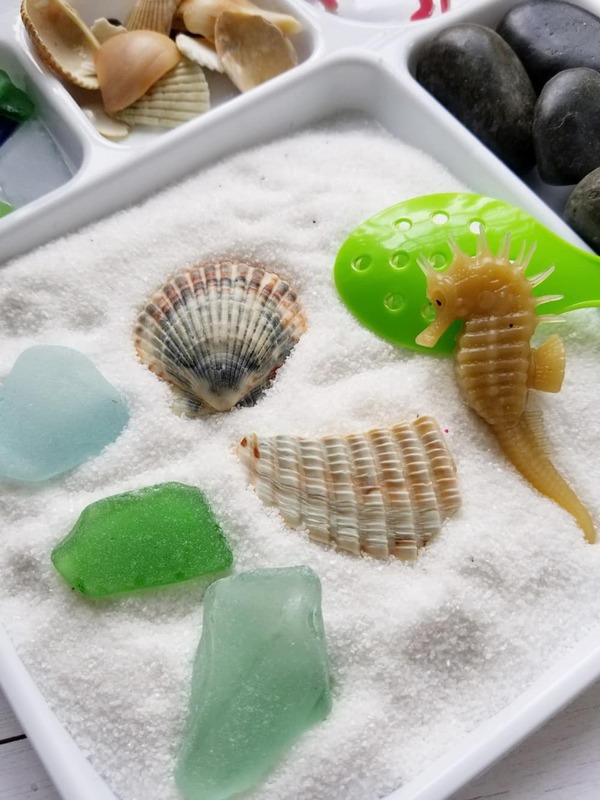 Use of the beach sensory play can be guided or freestyled. You can also allow time for both so kids get the chance to learn about the objects before exploring on their own. When you are done, cover the entire tray with a piece of beeswax wrap. It will help seal the contents and keep them in place until you are ready to play again. Plus, it’s reusable! 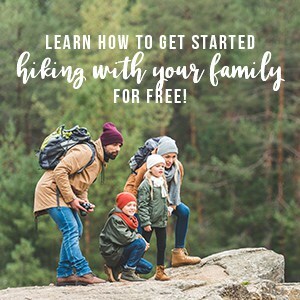 Looking for a fun way to explore nature with kids, specifically the ocean? 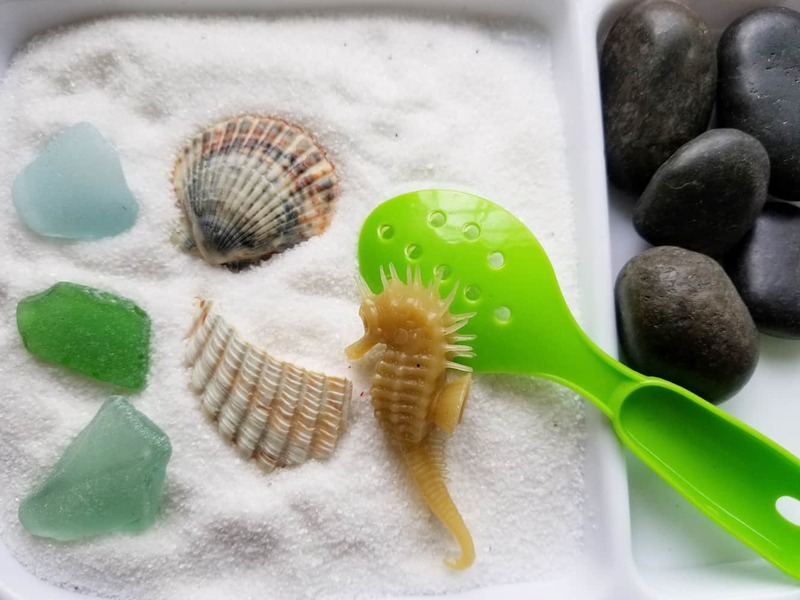 Pair this beach sensory bin with ocean books! 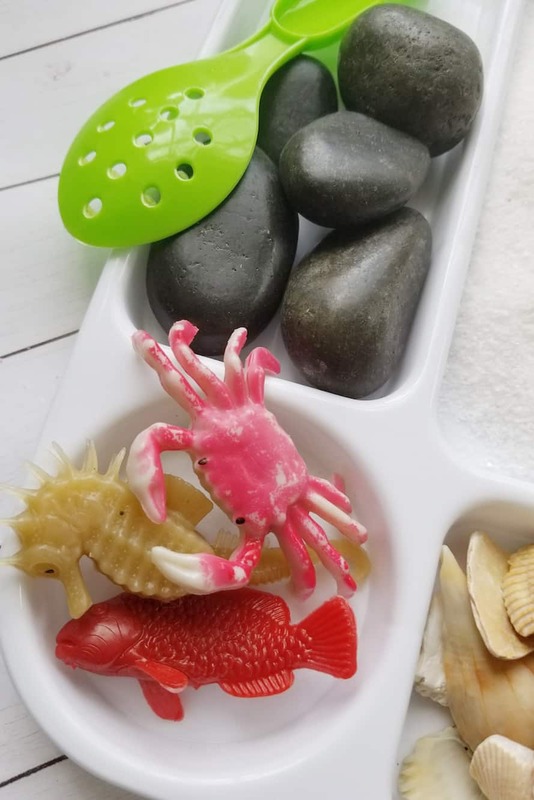 Your toddler will love being able to see the ocean creatures outside of the book and recreate scenes from their favorite ocean books with their beach sensory bin.